1/3 serious accidents are from the side. The Orb is designed to help prevent these accidents, by keeping you visible from every angle. Amazing product! It makes me feel so much safer when I’m riding at night. I love my orb it arrived today. What an amazing product and great idea. I will feel much safer riding through the winter months. I cycle a few times a week so it’s good for me to have something that makes me safer. I drive a lot and I wish more bikes had orbs, they would be easier to see! 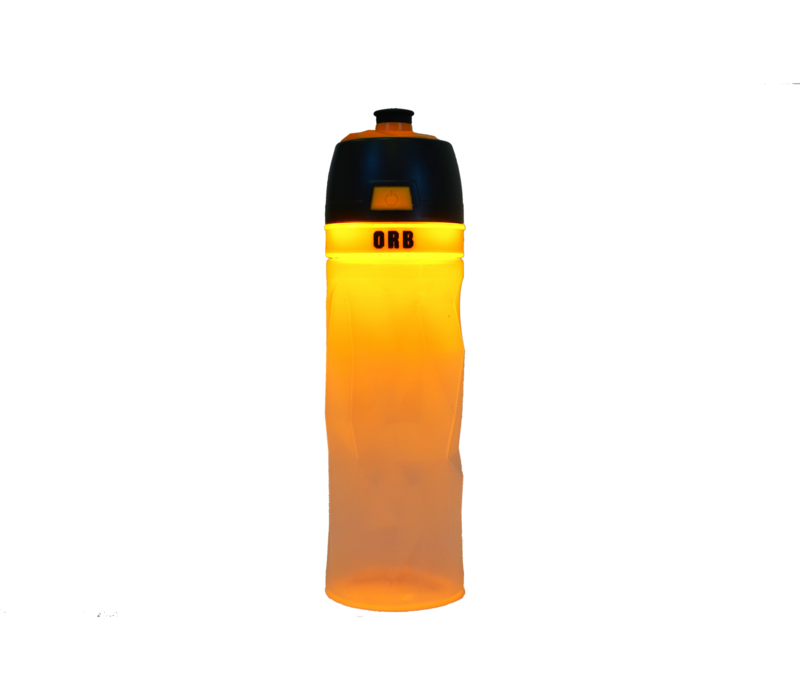 I’ve been using the Orb every day for a few weeks now and it’s brilliant – knowing my side visibility has improved makes me feel much safer when out and about. It’s stylish and very well made too. The charge lasts for ages and it has a number of different settings – all in all, I would definitely recommend it. Great bit of kit. 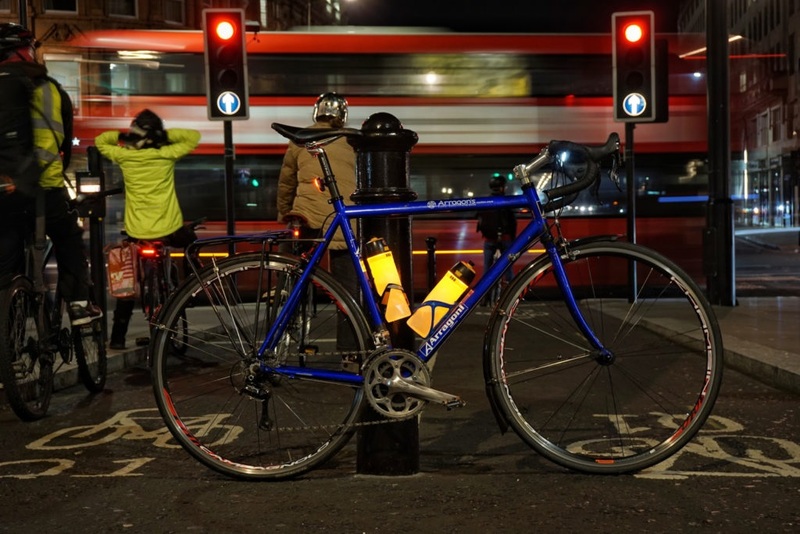 I cycle commute about 80 miles a week in London and this helps drivers see me side-on. The Orb is well made, bright and with a decent battery. Happy to recommend. Great idea, and well-executed product. Not too heavy and gives out a bright light (but not dazzling!). Plenty of admiring glances cycling through London in rush hour! 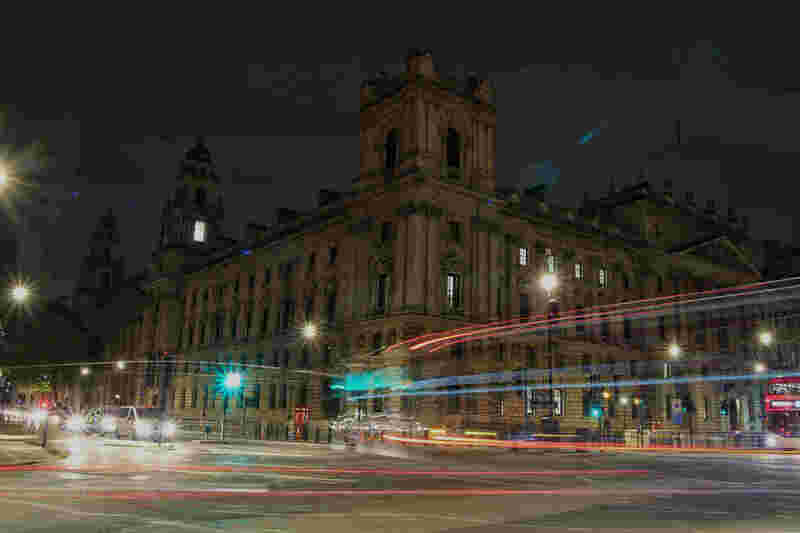 I absolutely love my Orb, I cycle across central London every day and safety is always on my mind. Having the Orb makes me more visible to other road users and therefore more confident in my ride. 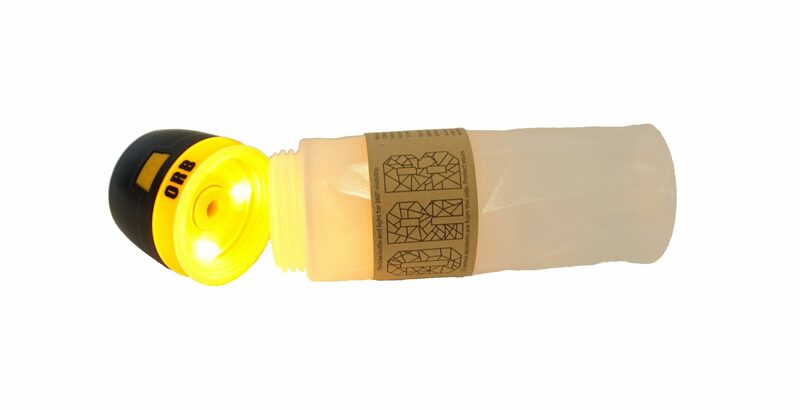 Really great product – I now feel much safer at night! – Free 48hr UK shipping today on all orders over £30 – Order before 1400 for same day despatch! 1/3 serious accidents are caused by a side-impact from a vehicle. The Orb keeps you safe and seen from the side at night. Here at Team Orb, we’re so confident you’re going to love what we’ve got that we’re offering a 110% money back guarantee. Yep, you read that right, and we mean it. Navigate to the Guarantee and Warranty tab (above) for more information. UPDATED: The Orb is shipping NOW! Why is the Orb orange? Orange is the colour of side-lighting on the roads. Lorries (trucks to you Americans), vans, trailers, buses, and some cars use orange side lights. Yes! 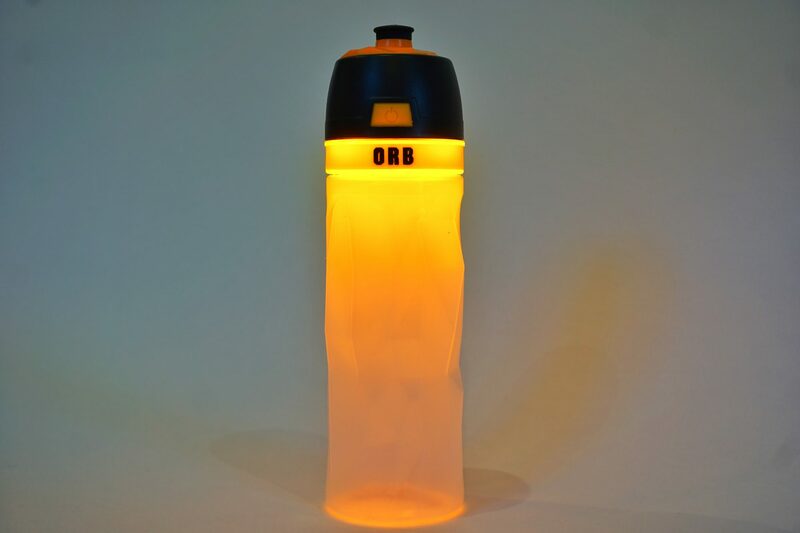 The Orb is not just a light – it is BPA free, and has a capacity of 700ml. Does The Orb work just as well with or without water in it? Yes! The Orb works either way! Do legs obscure The Orb when it’s on the bike? No, just watch the video for proof! Will the LEDs heat up the water? No, the LEDs we use are very efficient, and have no effect on the water temperature. What settings does The Orb have? 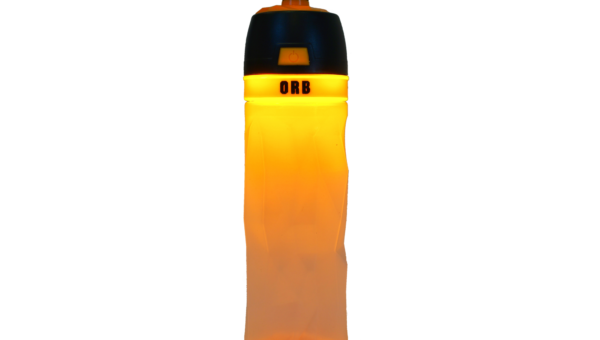 The Orb can be used on: full power constant, half power constant, pulse, and two separate flash modes. Where do your accident statistics come from? All statistics are referenced at the bottom of the page. In order to care for your Orb, dry it out regularly. The bottle part is dishwasher safe, but the top section should not be placed in a dishwasher (we’ve heard reports of some surviving, but not all…), instead handwash with warm soapy water (try not to submerge). To clean around the nozzle, grasp the black silicon drinking part firmly and pull upwards to remove. When replacing this part, ensure it is lined up with the internals of the orange piece. If your Orb also has a colourless silicon seal on the underside of the lid, this can also be gently removed and cleaned. Here at Orb HQ, we’re pretty confident you’re going to like what we’ve got. So confident in fact, that we’re going to offer you our satisfaction or 110% money back guarantee within 30 days. No, this isn’t like in The Apprentice when they give 110%. This is an actual 110%. If you buy an Orb from us at £39.99, and you decide you don’t want to keep it just send it back, and we’ll send you £43.99. We are not messing about with our Orb warranty. If it’s broken, and it’s our fault, we’ll replace it. It’s as simple as that, and you won’t have any trouble holding us to it. Just get in touch on andrew@orb.bike and we’ll take care of it. 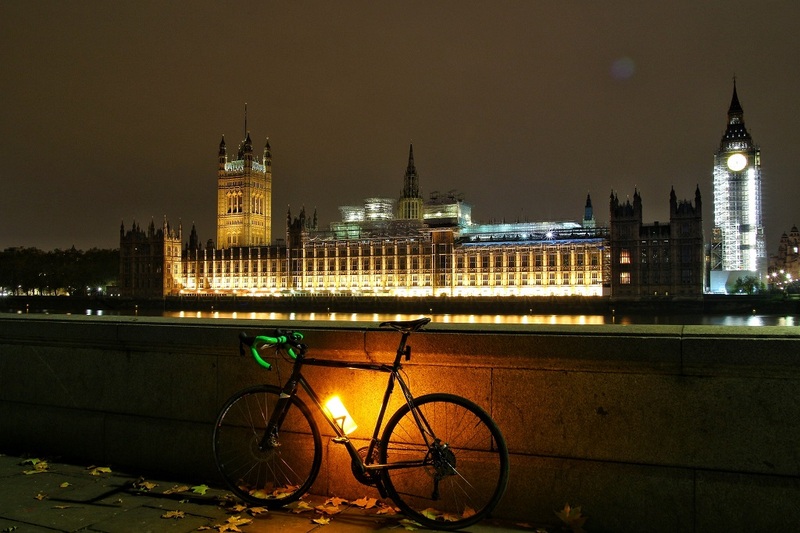 I absolutely love my Orb, I cycle across central London everyday and safety is always on my mind. Having the Orb makes me more visible to other road users and therefore more confident in my ride. 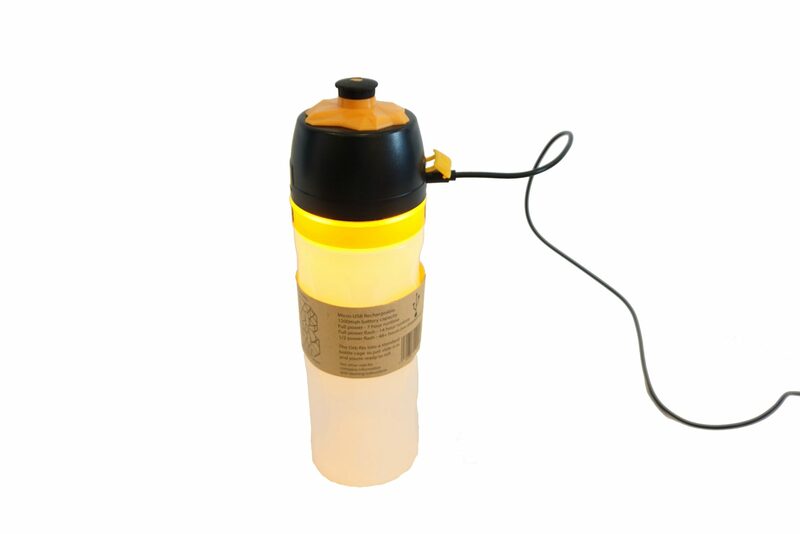 The fact that it is also a quality water bottle too, to me, is an added bonus! Would definitely recommend to other cyclists. Great idea, and well executed product. Not too heavy and gives out a bright light (but not dazzling!). Plenty of admiring glances cycling through London in rush hour! Excellent customer support when I identified a fault with my Orb. Replacement sent within a day.